Have you checked out the new feature of Google Maps? Now you can view your world in 3D right in your web browser. To get started go to https://maps.google.ca and zoom into an area and go to street view. Do that by dragging and dropping the little yellow stick man in the bottom right corner of your screen onto a street. Once you are in street view mode, you can zoom out with your mouse wheel or by clicking the “minus” button in the bottom right of the screen. In 3D view you can hold down the CMD/CTRL key and click and drag with your mouse to spin and tilt. If you do not hold the key down you can click and drag to scroll around and view the area. This entry was posted in Interesting Stuff and tagged 3D, fun, Google, Map, Street, technology, View, Zoom on July 3, 2018 by aduro. 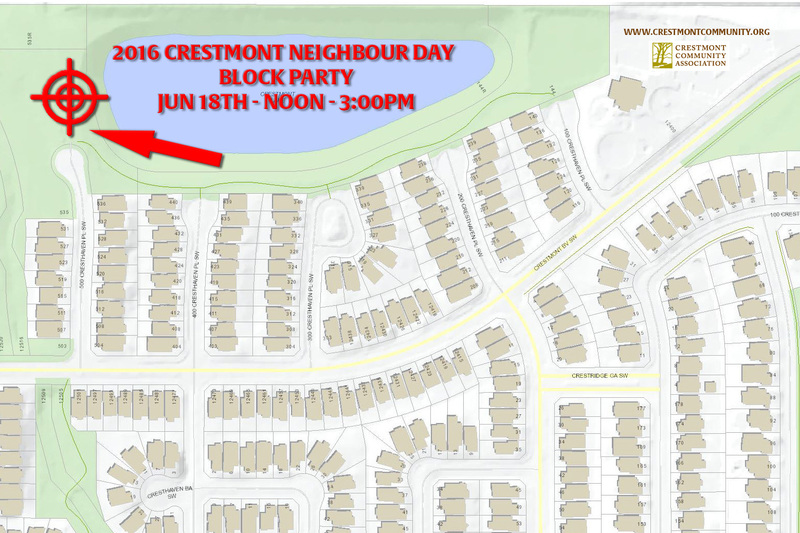 Don’t miss Crestmont Neighbor Day – 2018!! Join us on June 16th, 1pm – 3pm Rain or Shine to celebrate with your neighbors. The location is the west end of the stormwater pond by the emergency access road at the bottom of the 500 block of Cresthaven Place. You may wish to bring a lawn chair or a blanket to sit on. This entry was posted in Events and tagged Balloons, event, family, Food, Friendly, fun, Games, Music, Neighbour Day, Neighbours, Sausage on May 2, 2018 by aduro. Sunday October 29th from 1pm – 3pm is the annual Kids Halloween Party at the Crestmont Hall. There will be activities, snacks, crafts, lots of fun and the ever-popular costume contest. This event is open to the families of Crestmont and is FREE with your CCA membership or $10 per family for non-members. A special thanks to Qualico Communities and The City of Calgary for helping make this event possible. Check out our Photo Gallery from the event! This entry was posted in Events and tagged Costumes, Food, fun, Games, Halloween, Kids, Party, Prizes, Pumpkin on October 25, 2017 by aduro. Neighbour Day Canada 150 Party Eh? Last year we had our first Neighbour Day block party and it was a huge success. THIS year we are going BIGGER! In celebration of Canada’s 150 Birthday we are going to have a party that William Lyon Mackenzie King could be proud of. Join us on June 17th, 1pm – 3pm Rain or Shine to celebrate Canada and all things neighbourly. The location is the west end of the stormwater pond by the emergency access road at the bottom of the 500 block of Cresthaven Place. Thanks to generous donations from the following organizations, there will be live music, food, beverages, a bouncy house, along with fun & games galore. We need you to RSVP so we can be sure to have enough food and drinks for everyone. If you do not RSVP there is a chance that you may not be able to partake in the food & drink. This entry was posted in Events and tagged Calgary, Canada 150, CCA, Crestmont, Events, FCC, Food, fun, Games, Music, Neighbour Day, YYC on May 28, 2017 by aduro. Coming up on Sunday October 30th from noon to 4pm at the Crestmont Hall is the annual Crestmont Kids Halloween Party. There will be snacks, games, activities, crafts, prizes and, of course, the costume contest. We need volunteers so if you are able to help out with some of the events and activities, please email events@crestmontcommunity.org to let us know. The more help we have, the better this event will be so please join us. This entry was posted in Events and tagged Calgary, family, fun, Games, Ghosts, Ghouls, Goblins, Halloween, Kids, Party, Princesses, Prizes, Superheros, YYC on October 25, 2016 by aduro. 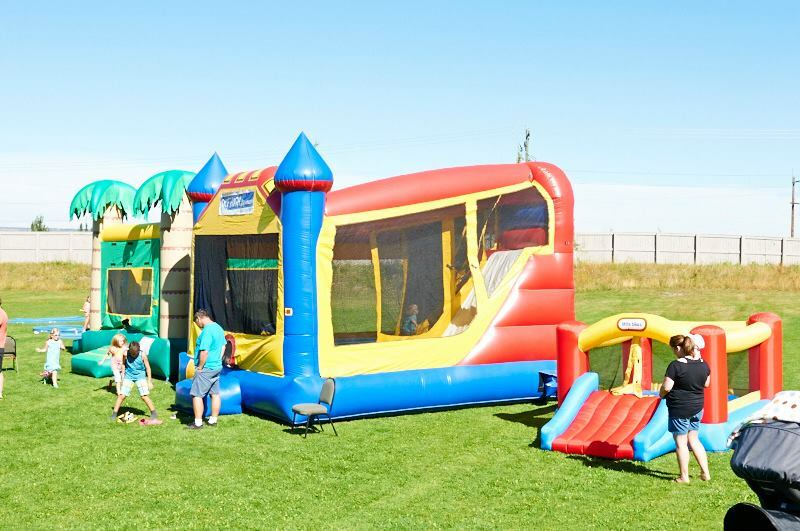 The Annual Crestmont Kid’s Day is on Sunday September 11th from 11:00am – 3:00pm at the Crestmont Hall. Mother Nature has sent us INSIDE the hall but that wont stop our fun. This is the Crestmont Community Association’s biggest event and has been a HUGE success every year. This year we hope to make it the biggest and best ever! There will be bouncy houses, games, food, clowns, contests, prizes and much more. The Shriner’s will be there, Simon the Safety Bear will be there too. NOTE: This event will be free for CCA members and $10 / family for non-members. A membership will also get you in free to the Crestmont Kids Halloween Party on October 30th. This entry was posted in Events and tagged contests, Crestmont, Drinks, Food, fun, Games, Kids Day, mini golf, Prizes, Shriners, simon the safety bear on September 8, 2016 by aduro.